The Rebel Sweetheart. : #Wonderful2014 | Looking Back and Moving Forward. So, I have been challenged to do a blog post about the 'what ifs' and 'could have beens' from 2013. I could devote an entire day just writing about all sorts of trials and tribulations, but I'll spare you all from the drama. I don't want to spoil the festive mood of New Year's Eve. Haha! Instead, let me share with you some nuggets of wisdom from my hero and icon - Bruce Lee. This pretty much sums up the story of my life this 2013. It has definitely been an interesting 2013 for me. Here's wishing you an awesome 2014! 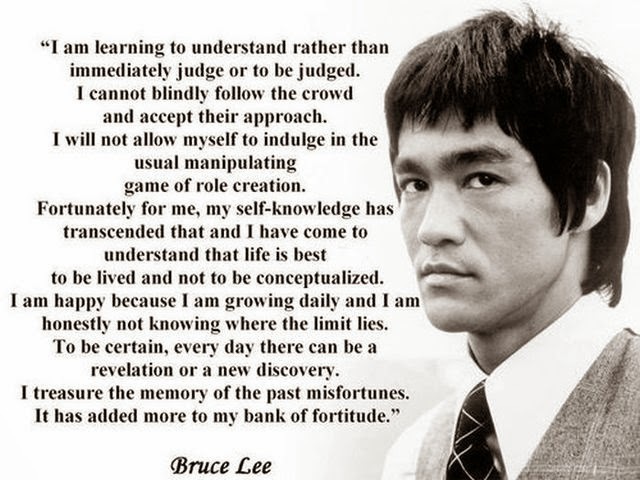 I love what Bruce Lee said there. True enough the year 2013 has taught me a lot of things which have pushed me into becoming a better version of myself. As 2014 kicked in, I can honestly say that I have made quite a good start and I'm wishing it will be like this not just for 2014 but for the rest of the years to come.